Published by almostaghost on November 28, 2010 in almostaghost and review. 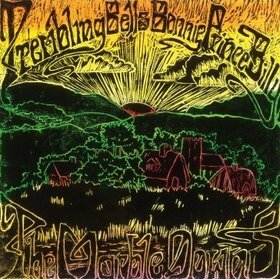 0 Comments Tags: 2010, 2010 countdown, album review, Frightened Rabbit, Scotland, Selkirk. am I a man or a bag of sand? The Winter Of Mixed Drinks is a sharp album, by the severely underrated Frightened Rabbit. 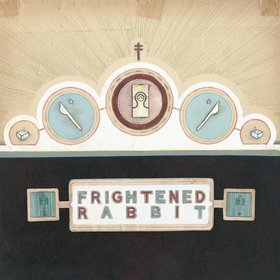 Frightened Rabbit is a band from Scotland, who have turned out a few consistently great albums already. Their music sounds a bit like shoegaze, but if it were more upbeat and happy. Is there such a thing as happy shoegaze music? That’s probably an oxymoron. But Frightened Rabbit uses the waves of guitar and keyboards from shoegaze, and adds dramatic swells, upbeat momentum, clever harmony vocals. It’s a great sound. At first listen, they can sound like a typical indie garage band, but there really is much more going on which rewards repeated listens.